Despite this growing pressure by the banks, there are some individuals and businesses who are trying to fight back by utilizing the courts. One such business is Bits of Gold who has recently been embroiled in a legal battle against the Israeli bank, Bank Leumi. Recently, the Israeli Supreme Court reached a decision, temporarily forbidding the bank from preventing Bits of Gold to conduct their banking activity. In the meantime, to fill the void created by these hostile banks, a number of existing and newly created banks are going all in on cryptocurrency, providing support and banking services to businesses and customers who may have been rejected by the more hardline banks. In this article, we will be exploring the crypto friendly banks options that are available in 2019. Simple Bank is a financial institution that is based in the state of Oregon, in the United States. Simple has been known as a supporter of cryptocurrencies, through its track record of working with a number of different cryptocurrency exchanges. The bank also has a feature which allows its customers to trade cryptocurrencies in any manner they want to, at any time. Interestingly, Simple Bank is one of the few cryptocurrency supporting banks that have all of their deposits insured by the Federal Deposit Insurance Corporation. This helps to placate the more cautious crypto investors, by protecting their deposits. At this point, to use Simple Bank, you must be a citizen of the US. Obviously, this means, if you don’t live in America, you won’t be able to use their services. As has previously been explained, a large proportion of big financial institutions have turned their backs on cryptocurrencies, regulating and limiting their use. Despite this blanket attitude, one of the most well-known giants in the finance game have shown forward-thinking and have decided to wade into the cryptocurrency market. As recently as November last year, it has been reported that Goldman Sachs has slowly been bringing customers on board to their own Bitcoin trading desk. This is the first known cryptocurrency trading platform to have been created by a bank on Wall Street. With one of the biggest revenue streams on this list, it shouldn’t be surprising if they invest massively into cryptocurrencies over the coming years. Ally Bank is a great option for someone that wants a bank where they can also get involved with cryptos. They are an online-only bank, with no actual branches in the United States and operate an around the clock customer service team, for 24 hours per day. The bank allows its customers to integrate their bank account with Coinbase. Because of this, customers will be able to purchase Bitcoins with their bank card. It should be noted that Ally Bank will charge a small fee when customers decide to purchase Bitcoin with a credit card. Despite this, Ally Bank is still a great, minimum-fuss option for buying Bitcoins. Similarly to Ally Bank, USAA Bank also has integration with Coinbase, allowing customers to view their cryptocurrency holdings on the go. They are known to be very supportive of the cryptocurrency market, with this culminating in USAA Bank’s investment into Coinbase’s Series C round of funding. This made them the first bank in the United States to invest in a cryptocurrency exchange. It must also be noted that USAA gives its customers’ the ability to view their cryptocurrency balance from the USAA website. These things are a clear sign that USAA Bank wants to be a part of the coming crypto revolution and will be looking for even more ways to integrate blockchain and decentralization into their business practices. Fidor Bank is a German bank that was founded in 2009, which follows an online model. Based in Munich, they have established a successful working relationship with the German Bitcoin exchange, Bitcoin.de. Through this partnership, Fidor has managed to integrate with the platform and allows its customers to buy Bitcoins instantly through the bank. If a customer is a holder of their Smart Giro Account, customers will also be able to make Bitcoin transfers to other Fidor Bank account customers that take effect almost immediately. This is in contrast to some other financial institutions, where these transfers can take hours to complete. Fidor Bank is helping to provide crypto enthusiasts and businesses with a platform that they can use to fund their activities. LHV is one of the most well-known and established banks based in Estonia. They’ve been known to push the envelop and be on the forefront of emerging blockchain technology since 2014 when they decided to pursue a partnership with Coinfloor, to get their Bitcoin integration up and running. In more recent times, they decided to form a partnership with Coinbase to allow their banking customers to make Bitcoin purchases. Over the last year, LHV have also provided a new application to their customers, named Cuber Wallet. This is a blockchain-based system which allows the bank’s customers to send digital Euros’ to other LHV customers. This shows that LHV bank is always open to exploring different ways in which blockchain applications and cryptocurrency integration can help the bank to become better for its customers’. Change Bank is an exciting prospect, although they have not yet reached some of the key milestones to begin their banking activity. Created in Singapore and trading in the European Union, they have yet to receive their European Banking License, create their debit and credit cards and create fiat currency wallets. Despite all of this, they are on course to achieve this by 2020. They have currently managed to develop their in-app crypto wallet off the back of $17.5 Million of outside investment. The app also has an integrated trading platform, which allows for the exchange of Bitcoin, Litecoin, Ether and Ripple. Any transactions made on this platform are done so commission free, which will be another draw for customers. Change Bank will hopefully be a force in the crypto banking market for years to come and are soon to complete their feature which will allow for the trading of tokens on the platform. Monaize is a French bank and cryptocurrency platform, seeking to bridge the gap between banking customers and crypto-enthusiasts in the EU and in the future, the world. They are another example of the increasingly popular mobile banks which have been causing headlines all over the world, with their target market being freelancers and small businesses. They are seeking to get smaller-scale entrepreneurs involved in blockchain technology. Monaize have also managed to create an almost instantaneous Know-Your-Customer procedure so that they can get businesses using their platform quickly, as opposed to more traditional banks, which can take longer. They are looking to expand into other areas such as crypto wallets, insurance services, and other payment solutions. Monaize’s services will be branching out into other countries’ in 2019, namely the United Kingdom, Germany, and the United States. If this proves successful, they will begin services in other countries’ across the globe. Wirex is a London based bank and provider of a cryptocurrency wallet service that allows for the purchase and the sale of cryptocurrencies. Their accounts are currently based in the UK and customers will receive a legitimate British bank account number, sort code and Wirex is also regulated by the Financial Conduct Authority. Customers of Wirex will be given a functional debit card and will also be given access to a number of special features. Whenever you use your Wirex card to make a purchase in-store, your account will be given 0.5% cash back, which will take the form of Bitcoin. Customers will also be able to purchase, store and manage your crypto portfolio, incorporating Bitcoin, Litecoin, Ripple and Ether, coupled with fiat currencies such as the British Pound, US Dollar, and the Euro. Wirex provides an instant trading platform, where you can exchange your cryptos for fiat currency with live exchange rates, this can also be carried out vice versa, by trading your fiat currency for cryptocurrencies. Finally, they provide a service where you can convert your crypto wallet into fiat currency to make purchases either in-store or online. Barclays is a banking giant, acting as an investment bank in a number of different countries. It is also one of the largest banks in the UK. They have been operating for over 300 years and have recently applied for two different patents in the United States, relating to their cryptocurrency operations. One such subject of these patents is that Barclays is aiming to develop a method whereby customers will be able to pay another person in digital currencies. This will work by maintaining security through the use of blockchain technology. Barclays believe that their customers and associated merchants will reap large benefits from this new system. Barclays second patent pertains to the way in which blockchain technology is used to process information. This led to speculation by some that Barclays was looking to create its own cryptocurrency exchange, however, this has been dismissed as inaccurate. Despite this downplaying, Barclays is still known to explore the benefits of cryptos, having partnered with Coinbase in 2018. This partnership allowed Barclays customers to create an account with Coinbase, making it easier for their customers to buy and sell cryptocurrencies. Bankera is a European bank that is looking to provide a bridging point for the traditional banking structure and blockchain technology. They plan to do this through their integration with SpectroCoin, which provides brokerage services for their customers. Bankera also offers an exchange service for their customers, this can be used to exchange both cryptocurrencies and tokens. Coupled with their traditional banking services, Bankera is going to provide a great platform for European customers to manage their crypto assets. 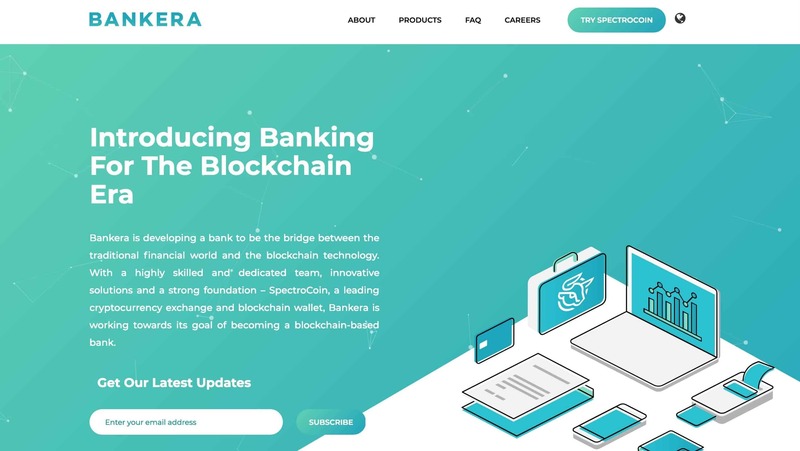 Some future products that Bankera intends to launch for their customers include cryptocurrency loans, investment tools and eventually a dedicated crypto wallet for the platform. 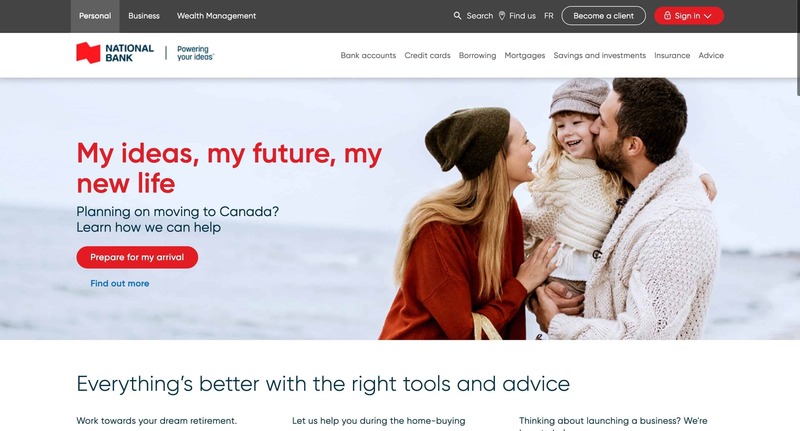 The National Bank of Canda, which is currently the sixth largest institution of its kind in the North American country, is one of the few banks left in Canada that has maintained a relationship with the crypto market. They currently allow customers to buy Bitcoins by using their credit cards, however, due to the intense scrutiny the crypto market is under, the bank states that they heavily regulate and monitor crypto transactions. Furthermore, even though the bank doesn’t currently have measures to block cryptocurrency transactions, it is very possible that they may put one into effect at some point. This change is likely, considering the actions of other banking institutions in Canada, such as the Royal Bank of Canada and Toronto-Dominion Bank, who have regulated and restricted the purchase of Bitcoin amongst their customers.